Understanding the interaction of genetics and environment in triggering anti-PLA2R production in membranous nephropathy in the UK BioBank Population. The use of Epitope Panning to identify potential causative agents for EBV negative Post-transplant Lymphoproliferative Disoder (PTLD). Are critical regulatory T cells present in the peri-nephric fat of human kidney allografts? Does High Dose Haemodiafiltration alter drug kinetics compared to conventional dialysis therapy? Our Research Team has won a number of awards for our research and work over the years, which shows just how far your help and support goes when it comes to helping us to change lives. Professor Paul Brenchley, Dr Sandip Mitra and Professor Rein Ulijn won the award in the category of Medical Devices, Equipment, Diagnostics or Therapeutics for the ‘Renephra’ project. ‘Renephra’ is the innovative concept of transdermal fluid and toxin removal—a novel treatment to address the medical need for better treatments for patients with kidney failure. The technology has two component parts: a wearable transdermal hollow micro-needle array to access the fluid/toxin reservoir below the skin (in the interstitial space); and a designer hydrogel cassette that specifically captures fluid and toxins present in the interstitial fluid. The technologies are combined into a device that is wearable and allows for slow, continuous fluid and toxin removal without the need to be physically attached to a dialysis machine. 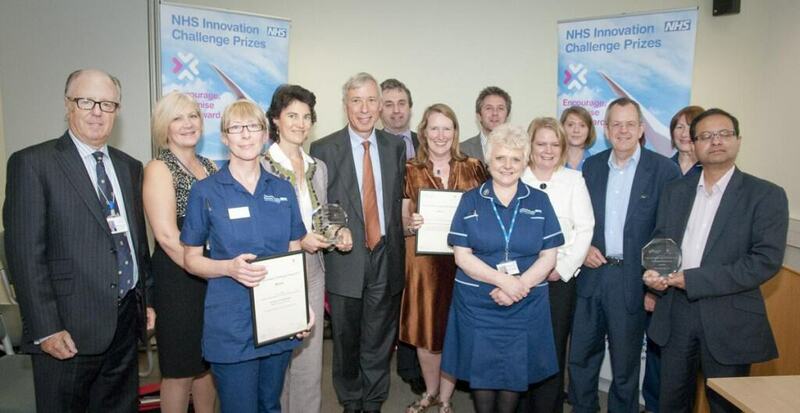 The innovative home haemodialysis programme offered to renal patients has attracted an NHS Innovation Challenge winning prize for Dr Sandip Mitra and his multi-disciplinary team at Manchester Royal Infirmary. Launched five years ago, the programme empowers patients to self dialyse at home, with significant benefits both in clinical outcomes, efficiency and cost savings. Patients are able to live a more normal lifestyle, with a more liberal fluid and diet intake, and free from having to come into hospital several times a week to dialyse. 180 patients (up to 15% of renal patients) have so far been trained up to dialyse at home. 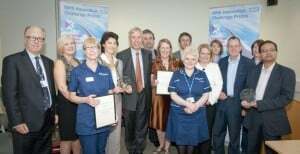 The programme which also won the NICE excellence award for 2011 is being adopted in several centres across the UK. 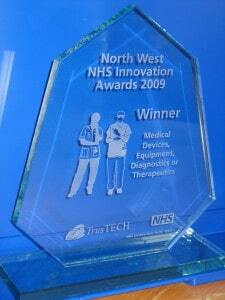 See more about their award on the NHS Innovation Challenge website. 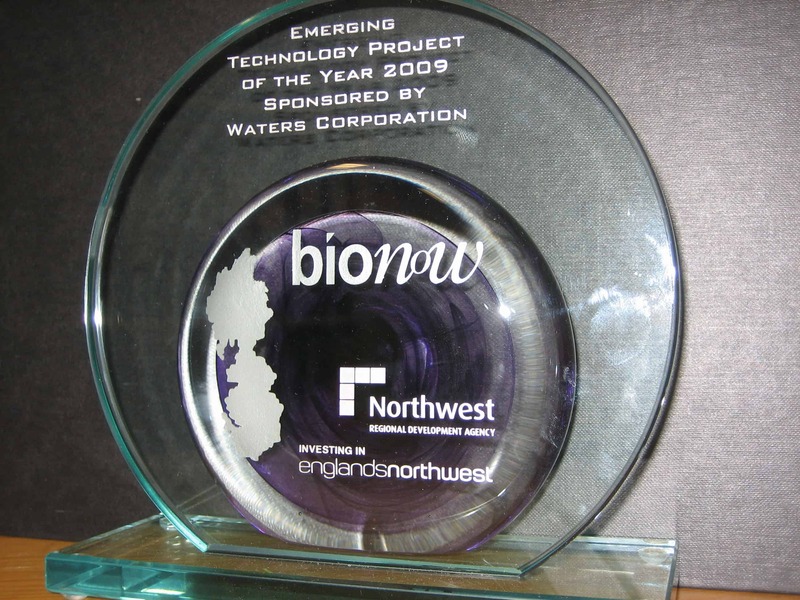 Professor Paul Brenchley, Dr Sandip Mitra and Professor Rein Ulijn won the award on Emerging Technology Project of the Year, organised by Bionow (the NorthWest Regional Development Agency’s (NWDA) Biomedical Cluster Support Group) for the ‘Renephra’ Project. The project, as explained above, is an innovative form of treatment to address the medical need for better treatments for patients with kidney failure.